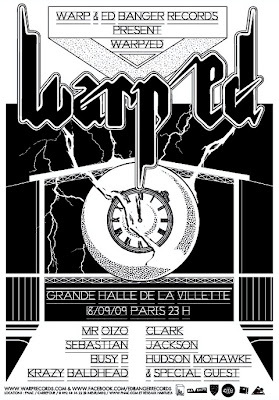 For those lucky enough to be in Paris later this week the much anticipated party between Warp and Ed Banger Records is taking place on Friday night. Should be one hell of a night. Enjoy! Click here for more info.